Gold engagement rings are the most traditional and popular rings for future brides. Depends on your style, you can choose the one-of-a-kind engagement ring, what will be the most special for you. Are you tender girls, who like a classic and romantic look? Feminine rose gold rings will melt your heart. If you’re a girl, who choose traditions in everything, your choice is yellow gold rings. Wanna have the more modern look? Especially for you, we’ve collected white gold rings in our post. And, of course, there are so many styles, stone types, and forms! 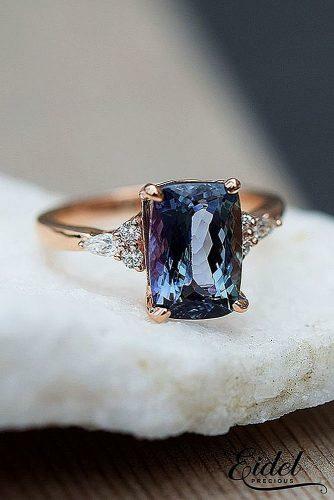 Get ready to choose the most stunning and beautiful engagement ring for you. Read the post and get the inspiration!